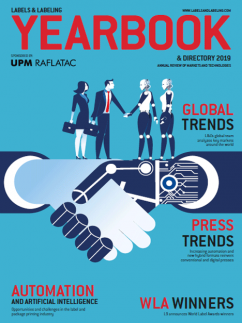 What do the industry’s suppliers and converters think will be key trends in 2019? ‘With the aim to improve performance and accelerate sustainability, we anticipate the growth of 2018 to be lower than 2017 in terms of printed square meters,’ says Jakob Landberg, director, sales and marketing, Nilpeter. ‘Converters are focused on replacing obsolete technology with highly efficient solutions, both conventional and digital. 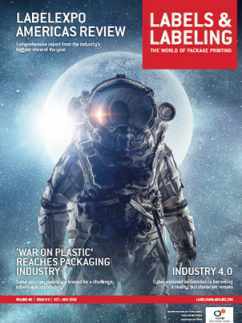 More and more turn their focus to niche areas, such as short-run flexible packaging and ECL, avoiding the downsides to commodity printing, creating a huge market for modern technology with multi-substrate and application capabilities. Andrew Siwicki, general manager at QLM Label Makers (Australia), identifies: ‘Label converters in Australia feeling the pressure from sustained increases in operating costs and raw materials may start to see the impact on growth and profitability. 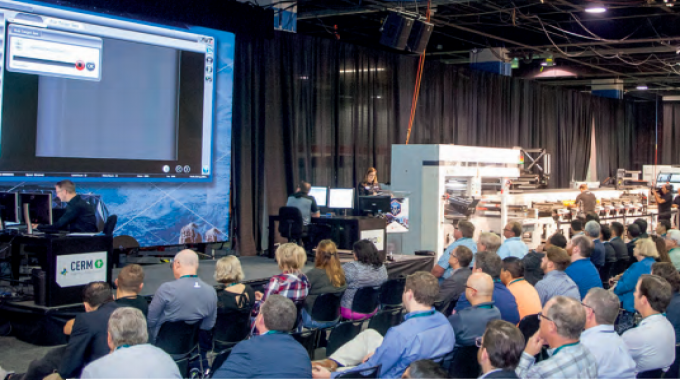 Siwicki further notes, ‘a growing demand for direct engagement between convertors and brand owners as companies seek to reduce costs and gain a better understanding of which innovations and print technology they can utilize. 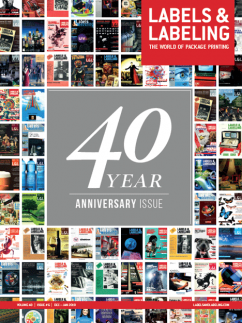 Gary Seward, managing director at Pulse Roll Label Products, says: ‘As the industry continues to embrace and invest in digital printing technology alongside conventional flexo printing presses, we see a key challenge for printers to match the print quality and brand colors irrespective of the printing process. Federico D’Annunzio, strategic products marketing director, web-fed, Bobst, supports this view and says: ‘Maintaining the level of perceived quality that strongly influences the purchasing behavior of consumers is paramount for brand owners, hence the need to satisfy the requirements of color and quality consistency of the printed output and of repeat jobs in order to achieve 100 percent product quality conformity with the job master request. Conformity on a global scale can be achieved through the digitalization of the workflow which improves the process repeatability and consistency and is independent from human error. This means that the type of print process will become less relevant by comparison to the digitalization of the printed output, which can ensure a full control of all the variables. This will lead to a standardization of the printing systems towards processes such as the extended color gamut, towards standard color separation systems sharing the same color space and the same print results. He notes other drivers for this beyond printing speed. ‘Hybrid presses can provide a lower operational cost than either traditional or pure digital, particularly when combined with AI systems for control. In addition, automation is key to reducing waste and improved consistency – automatic changeovers, automatic set-up pressure, registration, automated recall of set-ups for specific substrates – maximizing uptime and deskilling operators. ‘We are seeing a growing number of other processes fall in the scope of digital print – inkjet varnish, inkjet foiling, inkjet screen white alternatives. With a drive on productivity and added value, more hybrid solutions will have digital embellishment and finishing options, including single purpose print bars. Converters will fuel this as they increasingly look for digital solutions to application “problems” – rather than digital solutions looking for an application problem to solve. 2018 has witnessed unprecedented pressure on the supply chain for greener, more sustainable options. A number, from UPM Raflatac and H.B. Fuller to Constantia Flexibles, have signed up to support the New Plastics Economy Global Commitment. Dr Thomas Baumgärtner, managing director and Self-adhesive Materials division head at Herma, says: ‘Sustainability is not a fad but rather a basic attitude that we are seeing more and more in our direct customers, label printers, but also in label users. Next year, the EU will continue to exert its influence to decrease the huge mountains of plastic waste in the world’s oceans. Plans include blanket bans on various plastic products as well as drastically increased recycling quotas. Both topics will certainly affect our industry in 2019 and beyond, generating many discussions. 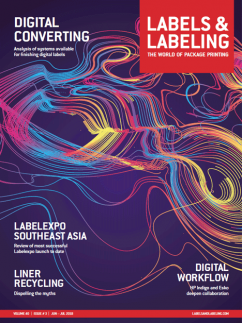 ‘Linerless labels will certainly play an increasing role in the market in the future. By eliminating the liner, these labels can be used without leaving behind any residual materials. There are great potentials waiting to be tapped in conventional labels, too. ‘Even today, end users are already increasingly interested in the origin and recyclability of packaging, for instance in natural cosmetics, in fruit and vegetable packaging, and in all products in the burgeoning organic sector. Biodegradable, compostable materials thus become interesting alternatives to petroleum-based polymer substrates. Matt Francklow, managing director at Creation Reprographics, adds: ‘Sustainable packaging isn’t just the production of renewable, recyclable or eco-friendly materials – it covers a whole range of design and production choices. Through 2019 and beyond we predict awareness of this will continue to increase amongst consumers, brand owners and suppliers as the industry begins to take a holistic, sustainability-focused view of the packaging supply chain. Gillian Ewers, vice president of marketing at PragmatIC, identifies the reducing cost of implementing RFID/NFC technology on mass market goods as helping increase recycling and reduce waste. ‘A low-cost inlay, with a unique ID, could be added to product packaging allowing consumers to access localized recycling information with a simple tap of an NFC-enabled smartphone,’ she says. ‘To incentivize the consumer to recycle more, a smart recycling bin could count the number of items that are placed into it and give the consumer credits for how much is collected. Simon Pugh, CEO at QLM Label Makers Group, affirms this view: ‘Consumers are increasingly being drawn to the capabilities of labels and packaging interacting with them via smart technology. ‘By opting for solutions that harness technology to create an intuitive user experience reminiscent of a smartphone’s interface, businesses can empower employees to enhance efficiency,’ continues Laurent Lassus, general manager, Sato France. ‘We therefore predict an increase in highly-customizable, cloudconnected labeling solutions that allow business-specific content to be put directly in the hands of staff. Chris Ellison, managing director of OPM (Labels & Packaging) and the current Finat president, also sees a bright future for voice assistants in the supply chain. 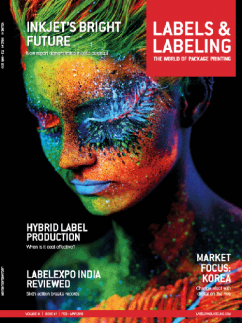 ‘A breakthrough of on-press AI and algorithm solutions will be the most important next step in label printing technology in 2019. We have Amazon’s Alexa and Google’s Home; maybe our assets will be able to take instruction via recognized voices and phrases? Click here to read the detailed article with more preditions. David Pittman is deputy editor at Labels & Labeling.